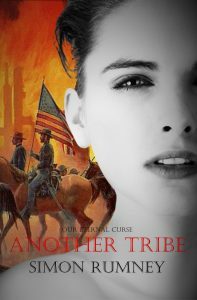 Julii, a beautiful, insecure and victimized Tennessee Indian is caught up in the white man’s world after saving the life of a Confederate captain wounded at the battle of Shiloh. Overcoming great disadvantage, cruel prejudice and bitter persecution, Julii harnesses her intrinsic genius to become the Confederate States’ most aggressive blockade-runner. Using conspiracy, manipulation and bribery to punish those who wronged her, Julii sets off a chain of events that leads to General Sherman burning down Atlanta, his infamous “March to the sea”, and a total Union victory. Have you read this book or another by this author? Tell us about it in the comments below!